Fans can debate the best Justice League hero, but DC has confirmed that without Batman, the super-team wouldn't have survived their very first mission. Most fans of DC Comics will have their own rankings of which Justice League hero is best, or most superpowered, if not inherently more superheroic. Superman is typically given the top spot based on powers alone since no matter how smart Bruce Wayne may be, Superman can kill Batman with one punch... as the current comic runs have confirmed. 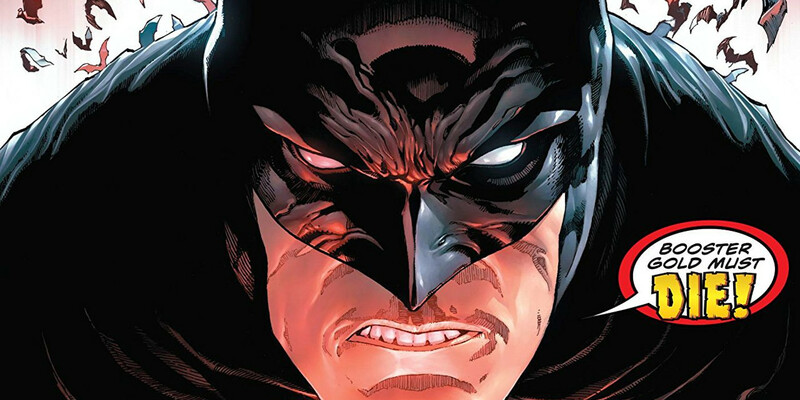 If fans took that as a sign that Batman writer Tom King agrees Bruce Wayne isn't winner of the Justice League's "most valuable hero" award, then Batman #46 should set the record straight. Because a world without Batman is worse than anyone could imagine. Mainly because the Justice League would be wiped out in their first canonical team-up. The Justice League United To Fight Starro. The first official, or most commonly accepted to be the first battle waged by the united heroes of DC Comics - Batman, Superman, Wonder Woman, Aquaman, Flash, Green Lantern, and Martian Manhunter - is something comic fans either know by heart, or will have a hard time believing. But as much as the comic universes and canonical history changes over the years, writers seem to have a friendly agreement that whoever founded the League, they did it after fighting Starro the Conqueror. A massive, telepathically powered, alien starfish. That's the kind of supervillain that you might expect to pop up as a new breed of supervillain back in the 1960s. Yet Starro has been updated and cemented in DC's roster of cosmic threats since (even appearing in the recent Dark Nights: Metal event). Apparently in the alternate reality of Batman #47, in which Bruce Wayne never became the Dark Knight, Starro was still the first threat faced by DC's assembled heroes around the same point in their modern history. And it turns out superpowers weren't actually all they needed to win. Without Batman, The League Was Slaughtered. What they needed, in no uncertain terms, was Batman. That's the from truth that Booster Gold expected, but definitely wasn't prepared to handle when he chose to mess with time travel to see how DC's Earth would be without Batman. Well, without Bruce Wayne's Batman, at least. The answer is incredibly bad, which all seems to stem from - you guessed it - that very first fight with Starro. Some fans can miss the subtle confirmation, as Booster explains how he has spent his year stranded on this nightmare reality. As fans of the hero will appreciate, Booster made sure to seek out Ted Lord a.k.a. Blue Beetle for help (his longtime partner and friend). Sadly, the Ted Kord of this timeline is already long dead, courtesy of a mission "Fighting Starro. Bang. Pow... They all... died. The super people. The Ted. Ted's dead." The difference this time around was the absence of Batman, and his brilliant strategies that allow the heroes to solve even unwinnable problems. When the likes of Superman, Flash, or Wonder Woman aren't enough to take down Starro - and even Blue Beetle is called along as backup - that's seriously saying something. It seems Tom King is simultaneously paying two compliments: that Starro is an underrated villain, and that Batman is the underrated hero who let the League live long enough to even choose a name. We can't tell how Booster is going to undo this mass superhero killing and restore things to the way they should be, but if his plan was to give Batman the perfect gift, his illuminated importance is good enough. Batman #46 is available from DC Comics.